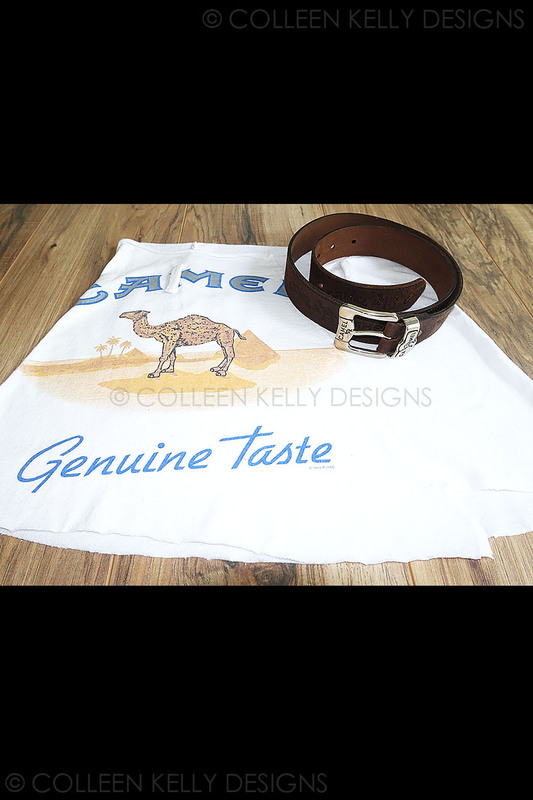 I'd walk a mile" for this Classic Camel "Genuine Taste" vintage t-skirt that was actually NOS (new old stock) and never worn. It has the luxury of looking new, but maintaining the vintage feel. 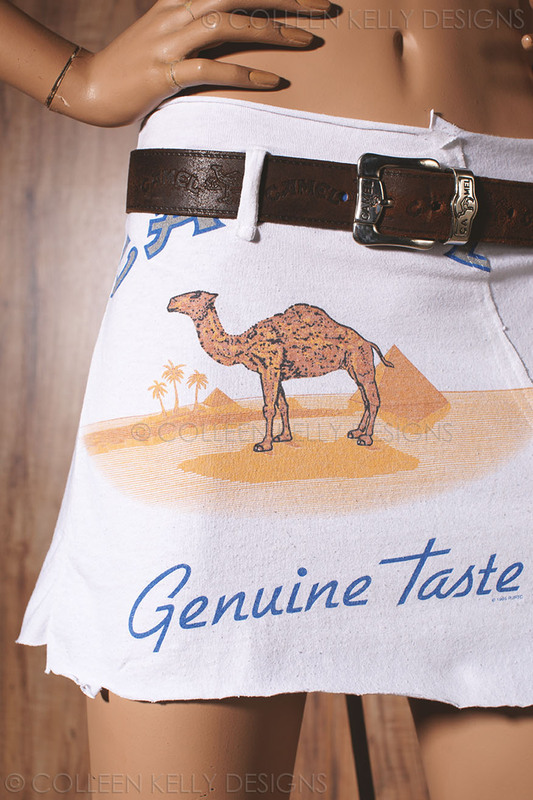 It has the famous simple desert scene with the classic camel "Genuine Taste" logo/slogan with 1995 white RJRTC printed right on it. 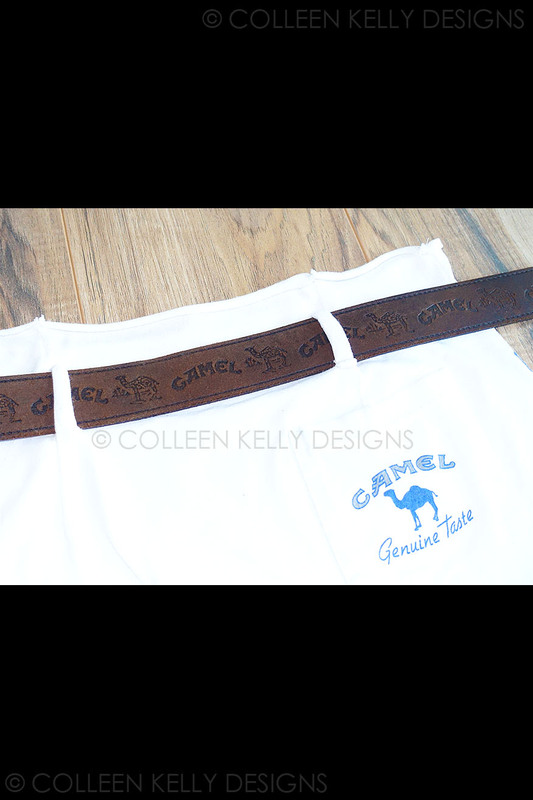 It's paired with a dark brown leather belt that is embossed with camels and the "Camel cigarettes" logo. Each iconic, retro themed, "Vintage T-skirt" has hand-picked, hard-to-find, rare, vintage elements assembled together in a hand crafted, detail designed, couture-cut skirt. This means they are all different, depending on the vibe, inspired by all the legendary, pop culture greats... each like little mini works of art! Wear with a t-shirt, sweater, sweatshirt, bikini top...some have their own tops! Pair with booties, thigh highs, combat boots, cowboy boots, sandals or sneakers! Dress them up, dress the down, wear them anywhere, "Day to Night"... these are fabulous, killer, fashion pieces you will keep forever! Some of these items are rare and irreplaceable, which precludes them from being recreated in most cases, as only original items were used. The inherent value, and sometimes fragile nature, of these collector items makes it very difficult to manufacture more than one piece and prohibits us from offering returns, exchanges & etcetera, so all sales are final. If you need another size than what is shown in the description and we do NOT have the materials on hand right now, we may still be able to source them for you. Please Contact Us and we will check to see if the materials can be made available to make one for you.